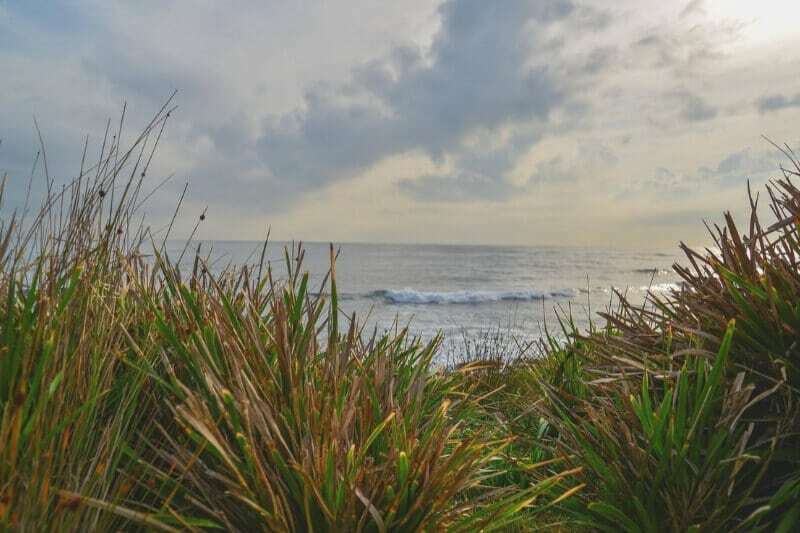 Finding gorgeous romantic things to do in Sydney is not difficult, but when you’re on a budget it can be disheartening looking for somewhere that won’t break the bank. Don’t worry though – you actually can spend Valentine’s Day in Sydney on much less than you think! Date nights in Sydney can quickly add up, but you shouldn’t have to miss out just because money is tight. Plan ahead, take advantage of BYO (yes, in Australia you can bring your own alcohol to many places!!) and enjoy one or more of these romantic things to do in Sydney without spending your life savings! These date ideas in Sydney can be a one off treat if you’re backpacking Australia, or if you’re short on time but feeling the love, why not try them all out? Choosing the best date ideas in Sydney doesn’t have to be difficult – just pick something fun and do it together! 5. Hire a tandem bike! 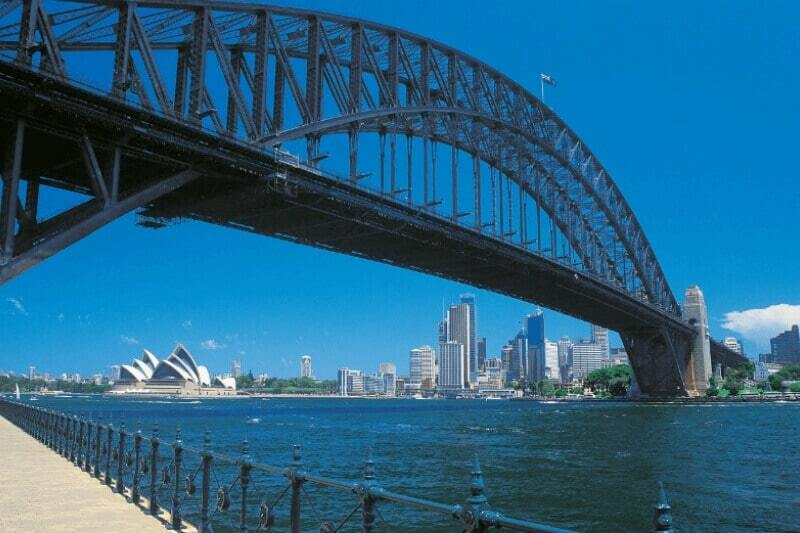 Taking in the views of the iconic Harbour Bridge and Opera House ooze romance,. You can expect to pay upwards of $250AUD for the privilege of climbing the bridge and watching the city from above, or you can be clever and only pay $15AUD. Take the stairs to the Pylon Lookout next to the bridge. You’ll get stunning views of Sydney but for a fraction of the price, and you’ll probably feel safer up here too! It’s beautiful whichever way you look at it! One of the most romantic things to do in Sydney is to find your own secluded beach and just enjoy each other’s company. There are plenty of romantic restaurants in Sydney but there’s nothing like eating al fresco, watching the sun go down. Well, Sydney is full of amazing beaches like that, and for many of them you won’t even have to pay to be there. You might need to pay an admission fee if the beach is in a National Park, but that also gives you access to more than just the beach too. Pack up a picnic, bring some booze* and relax in your own little bubble. *Safety hats on guys – enjoy a drink but don’t go swimming when you’ve had a few. These beaches won’t have lifeguards to help you out! Enjoying time on a secret beach is probably one of the most romantic things to do in the city but spending the night in a hospital certainly isn’t! Not a bad place for dinner! Something a little different from booking a swanky hotel, camping is great fun and can be really romantic once you’ve set up! 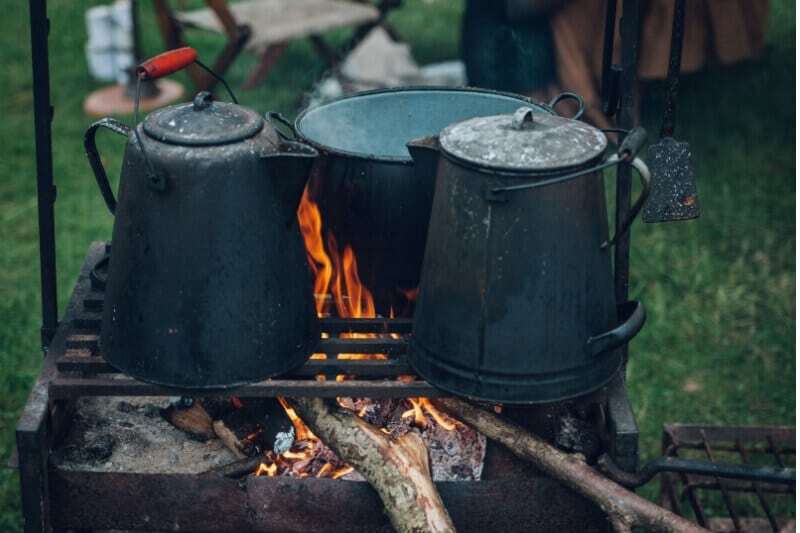 Cook yourselves a little stove dinner, enjoy your cheap goon and watch the sun set – who needs the Ritz?! If you’re looking for free things to do in Sydney, you can find free camping spots all over, and some will even have (cold!) showers. If you’re backpacking Australia then this won’t come as a shock, but if you’re just looking for a Sydney weekend getaway then you can still find some budget campsites with power and heated water that you can relax in! Snuggling up together (or not, depending on the temperature – Sydney in January is too hot for that!) and watching a film is pretty standard, but being at an outdoor cinema is so much fun! It’s just a little bit different and being outdoors means that as your film is playing, you’ll be treated to some incredible colours in the skies as the sun sets over the city. Visiting an outdoor cinema is definitely one the best things to do for couples in Sydney! Sometimes being active is just as romantic as being wined and dined! 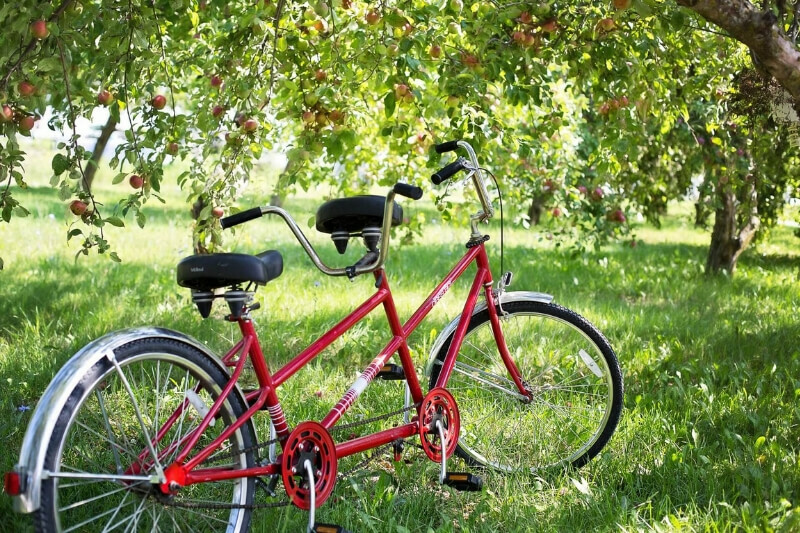 Go to Centennial Park and hire a tandem bicycle for just $25AUD per hour. Whether or not you’ll be able to balance and actually cycle is another thing but you’ll have fun trying! It’s definitely one of the top fun things to do for couples in Sydney. One of you is definitely going to end up doing all of the work! Another sporty activity, another chance to play around and work together! It’s fun and it’s a cheap day trip. For $40AUD you can rent a double kayak on Sydney Harbour and see the Bridge and Opera House, this time from the water. 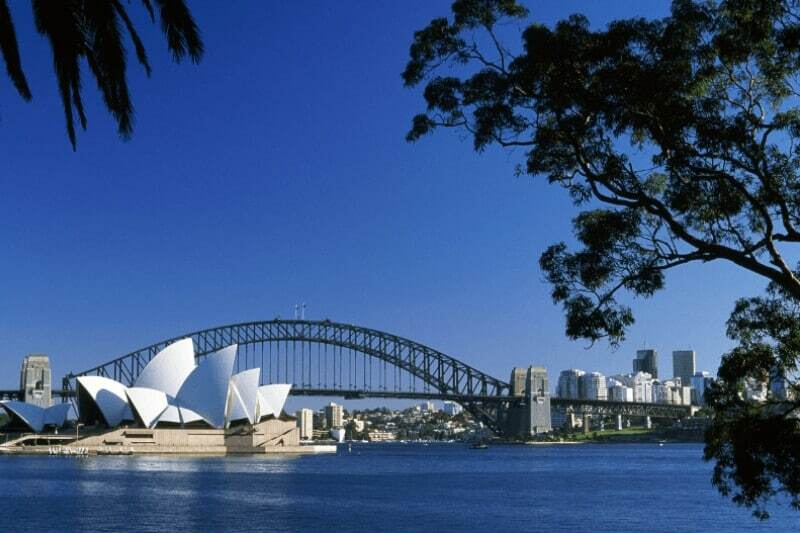 Kayaking in this iconic spot is a pretty cool Sydney date idea! 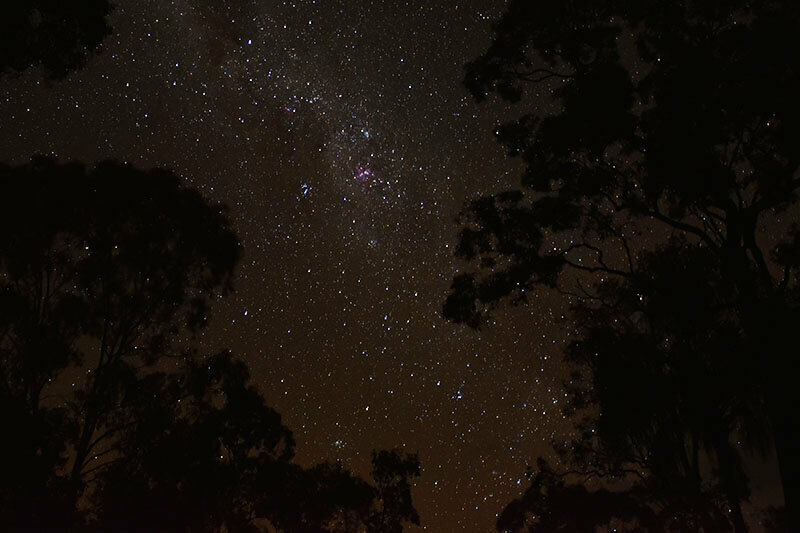 One of the most romantic things to do in Sydney at night is visit the the Observatory, where you can use a telescope to view the moon and stars. Take a night time tour and visit the Planetarium too. It is only $27AUD each, and you can impress your date/partner the next day with all of the astronomy you’ve learnt! Seeing the stars has got to be one of the most romantic things to do in Sydney! Have you got any tips on romantic things to do in Sydney on a budget? Where did you go? Let us know in the comments below!